How do customers get in touch? There’s a good general rule that you should be where your customers are. That means physically as well as virtually. Most people will do a web search when they’re looking for what you sell or provide – make sure you have a website, even if it’s just a landing page with contact, product and service details. I strongly suggest you add a contact form to your website. Most blogging platforms and website services like WordPress will have contact form templates for you to use. Many people will look on Facebook so make sure you have a Facebook page even if you don’t interact with it very much. If you have a Twitter profile, again, get those contact details on it. If you can’t help someone, try to pass them to someone who can. How do customers contact me? Facebook – a question on my business page – make sure you enable alerts so you can see when these come through to you! Phone – I have a dedicated mobile phone with its number on my website. I receive very few phone calls and because I leave my phone on voicemail most of the time (because I do a lot of work where I really have to concentrate), people who leave messages tend to email me as well anyway. In this article I’ve reminded you to keep as many avenues open as possible for people to contact you, and to follow that up by being responsive. How do I get back to the full dashboard on WordPress.com? I’ve been asked this question a few times recently, as WordPress has sought to make it easier for users to post a quick blog post or create a page. People who are familiar with the old, more detailed dashboard want to find it again. So here’s how. 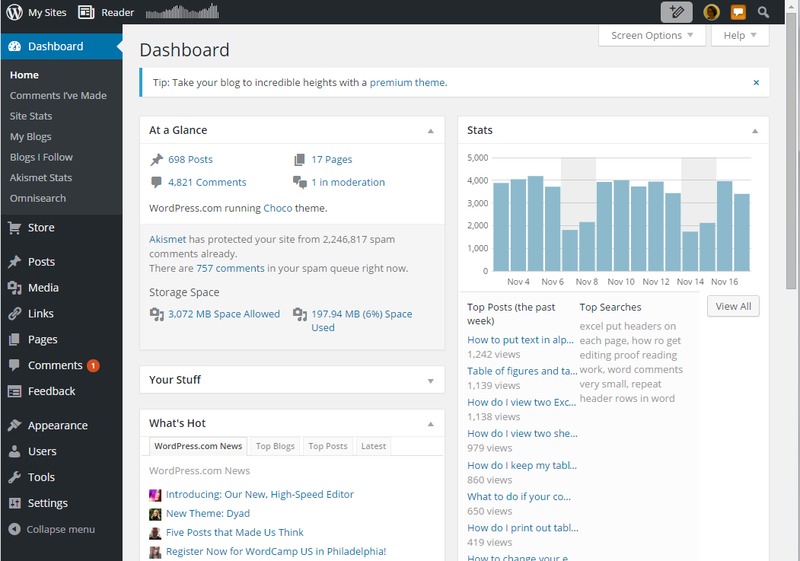 How do I find the old dashboard on WordPress? Now click on WP Admin, circled on the above image. If this doesn’t work there is another tip, which is to add /wp-admin to the end of your page’s URL. Note: this works for WordPress.com, the free version – self-hosted WordPress.org is a little different. If you’ve found this post useful, please do share it using the sharing buttons below. Is it worth having a website for my business? SEO or Search Engine Optimisation is one of those mysterious areas of knowledge – like setting up a website – that people like to keep to themselves. If you’ve been involved at all with a website or blog, you will know that people tend to almost prey on newbies, offering to increase their SEO if they work with this or that company. The impetus for this post came from offering some help to a community organisation I’m helping out with. They don’t have the money to spend on expensive consultancy, so I’ve put together this guide for them – and you – to help clarify the myths and provide you with some advice to help you build good SEO. SEO means making sure that search engines like Google and Bing find your content and present it to people who are searching near the top of the results (just below the adverts). Although they obviously work for a profit and want to make people advertise with them, the search engines do want to get reliable, decent and useful information to their users – otherwise those users will go elsewhere. They go to a lot of trouble to weed out spammy and dodgy sites that will put users off and don’t provide useful and relevant information (if every search you did on Google only gave you results on how to improve your SEO, when you wanted to know about Halloween outfits for dogs, you’d soon get bored and use a different search engine). Therefore, we need to make sure our blogs and websites have the right information and content that will prove to Google that we’re legitimate sites full of useful content that it’s good to show their users. There are various technical and writing related ways to do this and I’m going to cover the simple ones that you can do with, for example, a free WordPress.com website or blog and no coding skills. I’ll note here that there are more detailed and technical things that you can do, to do with the coding of the actual site – this will however give you some simple tools that I’ve used to get good viewing figures and good SEO. You want people to read your stuff, right? Well, although many people will find your content, services, products, etc. through social media, recommendations, blog readers, etc., the majority will find you through search engines. Have a look at the statistics pictured. This was on a day when I published an article that was shared quite a lot on social media. Where did I get all my hits from? Search engines. 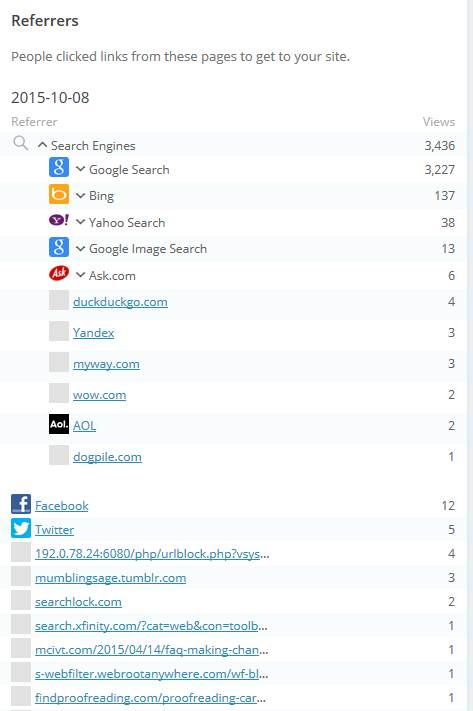 So it’s really important to make sure that when people search for keywords to do with my blogs in the search engines, they find my blogs and find their way to me, so they can buy my services / be helped by my informative posts / buy my books. How do I improve and maintain my SEO? This is my number one top tip. The search engines are always looking for ways to stop people gaming the system and this is a clear example – we’ve all found websites which just have lists of keywords, etc. I’ve got good results from the fact that the text on this site is useful, it’s relevant, as in it fits in to various categories and has information on those categories (Word, business, social media, etc. ), it’s original (all written by me) and it’s written in natural language that looks like it’s been written by a human, not a robot or machine translator or spammer. This will always outweigh everything else. Search engines like material that’s updated regularly, as it’s indicative that the site is still live and up to date. Try to post at least once, if not twice a week – it doesn’t have to be massive long articles, but something twice a week is better than five posts in one week then none for a month. Place the keyword / phrase in the title of the piece – so, here I have used “Increase your blog or website’s SEO” in the title.This automatically adds is to the “metadata”, in this case the URL of the piece. There is more you can do with metadata which is outside the range of this article. Place it in an H1 or H2 level heading – here, I’ve used it in top-level headings. 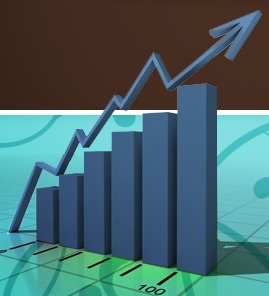 Use it in the description of an image – the image above has the words “increase SEO” in the description field. Use it early on in the text and in the final paragraph. Scatter it throughout the text – but NATURALLY. A good aim is to have the keyword / phrase represent no more or less than 5% of the whole of the text (so if your text is 100 words long, you need the keyword to appear around five times. Many people search using questions these days – have a look at your statistics if you can and see how many question phrases appear. So, use questions in your title (this one doesn’t have a question, but many of my blog posts do), and in your headings. These may well echo the exact phrases that people use to search, boosting you higher in the results. Categories, tags, whatever your blogging platform calls them, will be searched by search engines, increase the validity of your site and improve your SEO. Use them wisely, using general (reading, writing) and specific (WordPress, copyediting) ones to help your visibility and to help your readers navigate around your site and stay on the site for a longer time. Search engines like to know that a site is reputable and well-respected by peers. Therefore, they put a high premium on the sites that link into your website or blog (i.e. they include your URL / website address on their own site). Of course, a good way to build these is to reference other well-known and well-respected blogs and websites on yours. Place guest posts on other people’s blogs that are relevant and useful to both your audiences. You should be given the opportunity to include a link back to your website. Offer people in your industry guest posts on your blog (or run interviews with them, etc.) and ask them to link back to the piece on their social media and website. Get yourself in well-renowned and useful / appropriate listings – for example I’m in a Find a Proofreader listing and one for a professional discussion list I belong to. 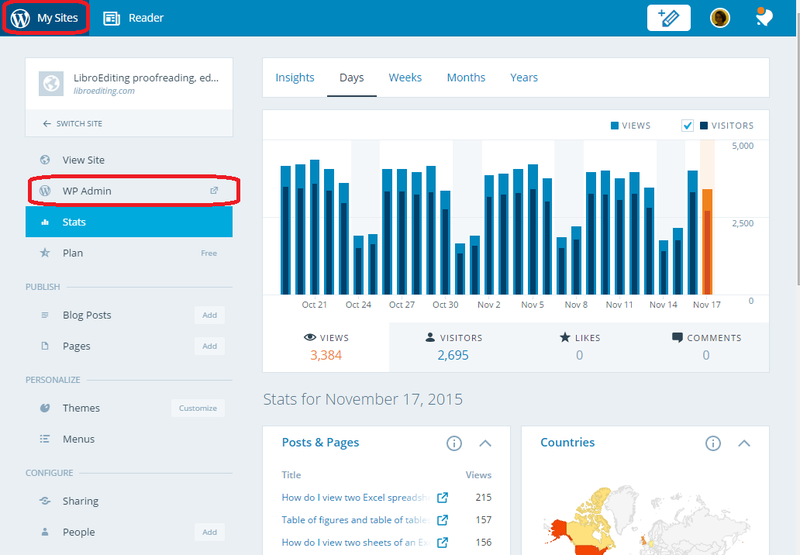 Carefully comment on relevant articles and blog posts, with a relevant and useful comment. As an example of another blog, I comment on book bloggers’ review posts if I’ve read the book or have something to say about the book they’ve read, and include the URL of my own book review blog in the URL field. That way, a network of links builds up. Use whatever reblogging facility you have on your platform (WordPress has a reblog button) to share interesting and relevant content on your blog (I don’t do this myself, but I’ve been reblogged a lot). This will publish a snippet of your blog and a link on the reblogger’s own page and direct readers to you and reassure the search engines that your content is useful. Publicise your blog posts on social media (you can do this automatically) to increase the number of places your web address will appear. Randomly ask to place guest posts on unconnected blogs – you might well get accepted but it’s not going to do you much good long-term. Accept random and unconnected pieces to place on your blog, even if they say they’ll pay you – it’s not worth it long-term, as your readership will suspect it and anyone visiting your website for Dallas real estate and finding the rest of your articles are about crocheting will not stick around. Put random comments full of your own links on people’s blogs that are not in any way connected with yours. Again, some might let these through (I delete any comments like this on my blogs) but it’s not going to look great, as many people will spot what you’re doing and it’s artificial, not natural, so may well harm you in the future. These dos and don’ts are to do with being decent, honourable and ethical. I’ve done it this way, and my blog is pretty successful. I will probably write about this in greater depth, but this should help as a handy guide. OK, that’s six things that you can do with your next blog post to help improve your website or blog’s SEO or search engine optimisation. This article itself has been optimised following my rules, and I hope you can pick out what I’ve done now. Do let me know if you have questions or comments using the comments option below, and please share using the share buttons if you’ve found this post useful. 10 reasons to start a blog – why you should do it now! How do I delete a Facebook group? In this post we’re going to learn how to delete a Facebook Group. It’s the only way, and seems a bit weird to me – I spent ages looking for buttons to press and options to choose before finding out! So hopefully you will have found this article easily and I can help you do it more quickly! For more basic information about using Facebook, see my article on Facebook for business. Why might I want to delete a Facebook group? The reason I wanted to do this is that I had a group based around a general election that there was no point keeping up with now. There are lots of reasons why you might want to delete a group, though – it might have got out of hand, you might not have time to run it, it might be time-dependent and out of date, like my one was. If it’s a matter of not having enough time, consider making someone else the Admin for the group – you can see how to do that later on in this post, as well. Note, you do have to be the owner or administrator of the group to delete it. To delete a Facebook group, you need to remove all of the members, then yourself. This makes the group go away. For each member, click on the cog under the member’s name and click Remove from Group. Note that this is where you can make them an Admin instead. Facebook will ask you to confirm. Do this for each member of the group. This is the same error message whether you’re just leaving the group or you’re the last to leave – just choose Leave Group. … and select Report a Problem from the dropdown. If you’ve enjoyed this post and found it useful, please share it using the buttons below! Thank you! You can find more resources on social media in my blog resource guide (link takes you to the social media section) and read about using social media for your business in my book on growing your business. 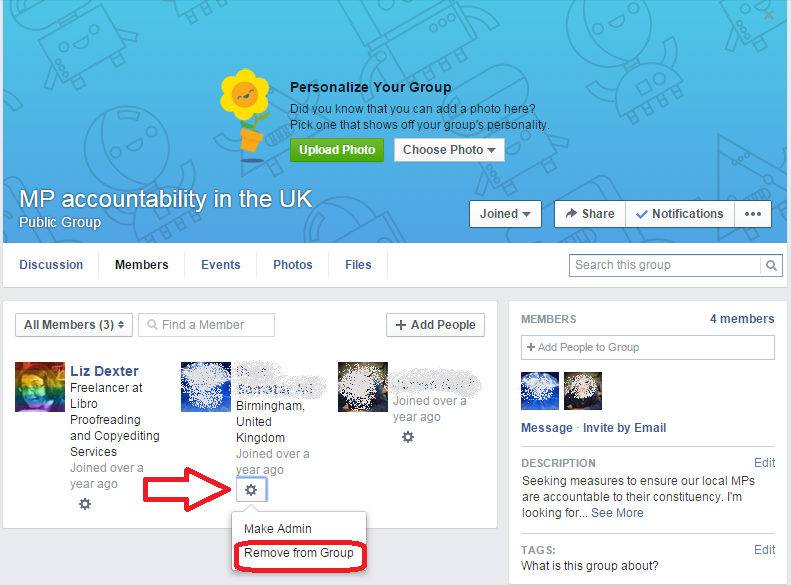 How do I remove a member from a Facebook group? 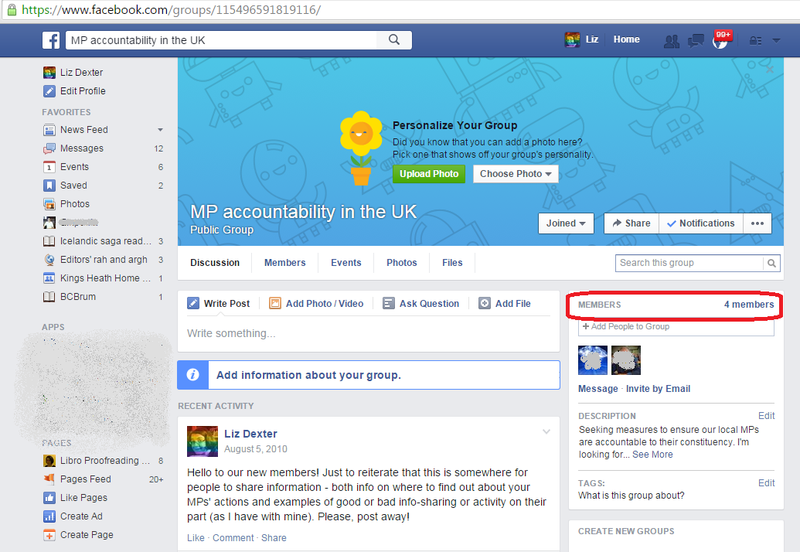 In this post we’re going to learn how to remove a member from a Facebook Group. For more basic information about using Facebook, see my article on Facebook for business. Why might I want to remove someone from my Facebook group? The most common reason is that they have been spamming your group or behaving in another way that’s not acceptable. Sometimes, a group member might not be sure how to leave a group and might ask you to remove them. How do I remove someone from my Facebook group? Click on the cog under the member’s name and choose Remove from Group. 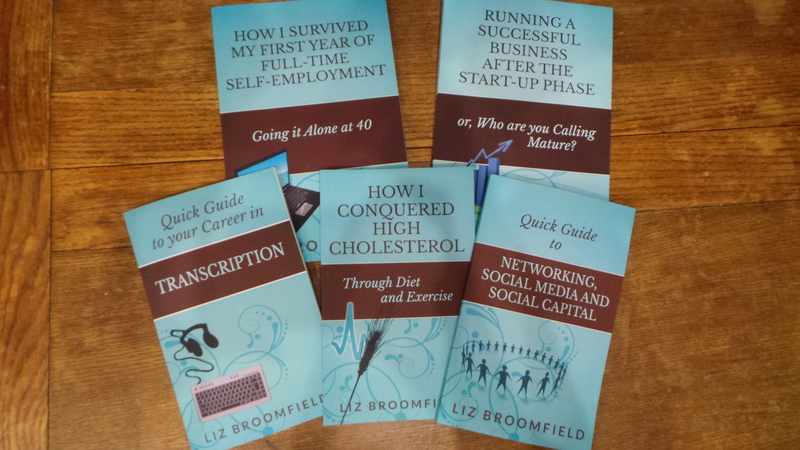 My business books are now available in print editions! You can read all about what I’ve been up to in this blog post. I’ll be sharing a how-to on creating your print book in Amazon’s CreateSpace and I’ll let followers of this blog know when that happens. 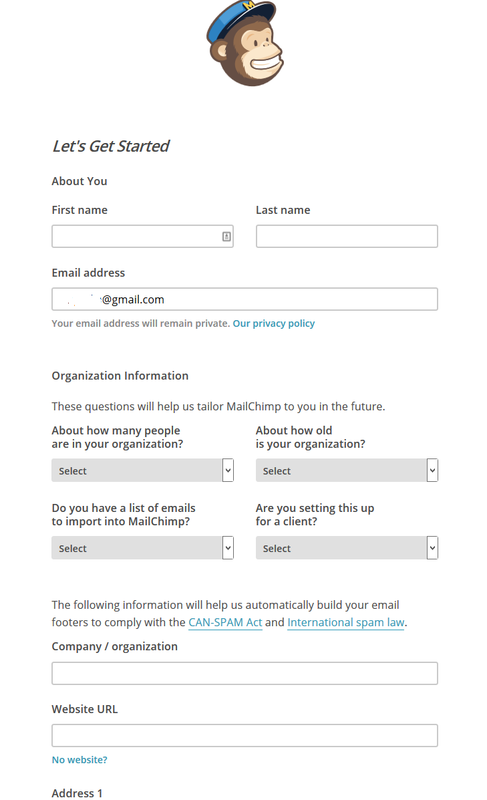 MailChimp is a web-based service which allows you to send out newsletters to a list of people who have signed up to receive them. 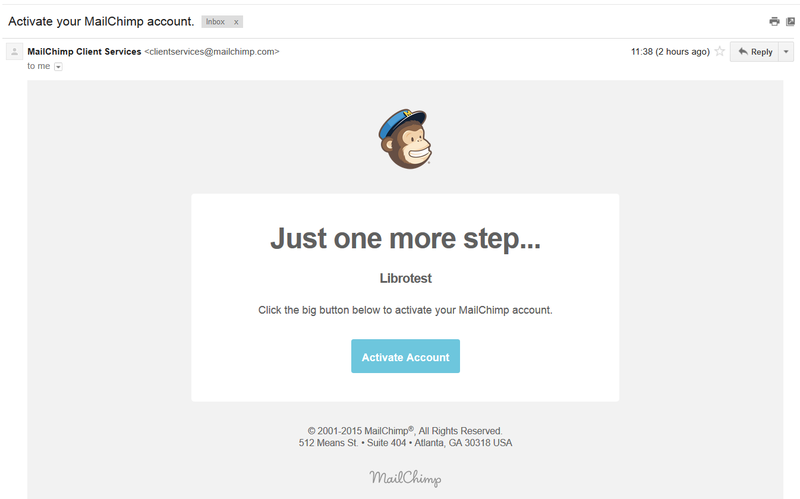 There are other services out there, but MailChimp is very popular, often recommended to newbies and is free as long as you have under 2,000 subscribers and send out fewer than 12,000 emails per month. You can upgrade in order to get extra features and also if your list goes over the 2,000 mark. Please note right here and now that I’m not being sponsored by MailChimp for doing these posts – I’ve been asked to do them by people I’ve been working with at social media training sessions, and I happen to use MailChimp myself so can give you all some training resources. 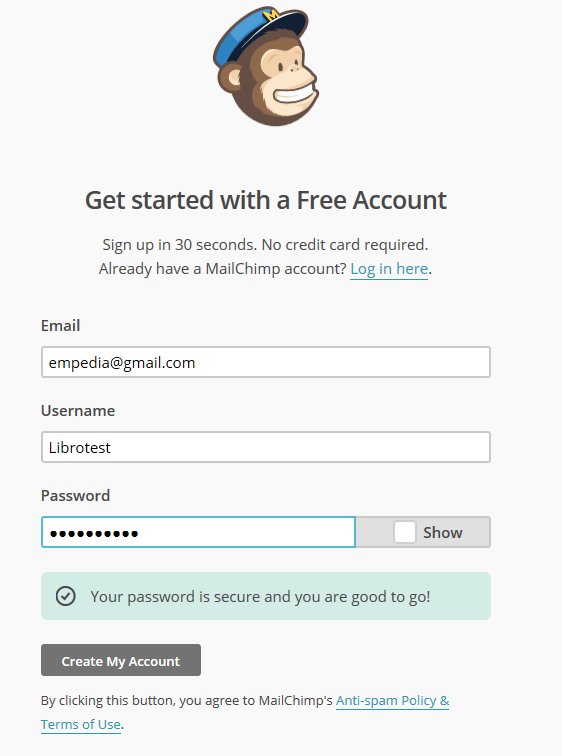 Other similar services include iContact, Constant Contact and Aweber and you might want to check these out before committing to MailChimp. Why use a special program? Why not just send out emails? It’s really, really easy to cc instead of bcc when you send out a mass email. CC is the one where everyone can see the email address of everyone the email’s been sent to. People get really annoyed when that happens. Internet service providers can get really suspicious if you’re sending out regular emails to hundreds of people – or if one of their clients receives such emails. Your newsletter is likely to bounce into a spam folder and your own ISP might block you from sending them. There are rules on spamming and using people’s email addresses to market to them without permission. The key is to allow people to opt in rather than assume they are to opt out. Services like MailChimp look after this, making sure people opt in to your mailings properly and that your details are on your emails. So you can be reassured that you’re not doing anything inappropriate. 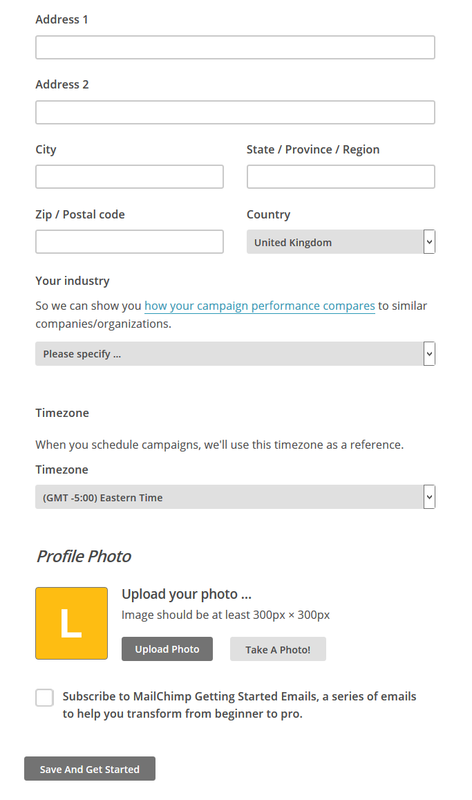 It’s really easy to design nice newsletters, include photos and all sorts when using a service like MailChimp. 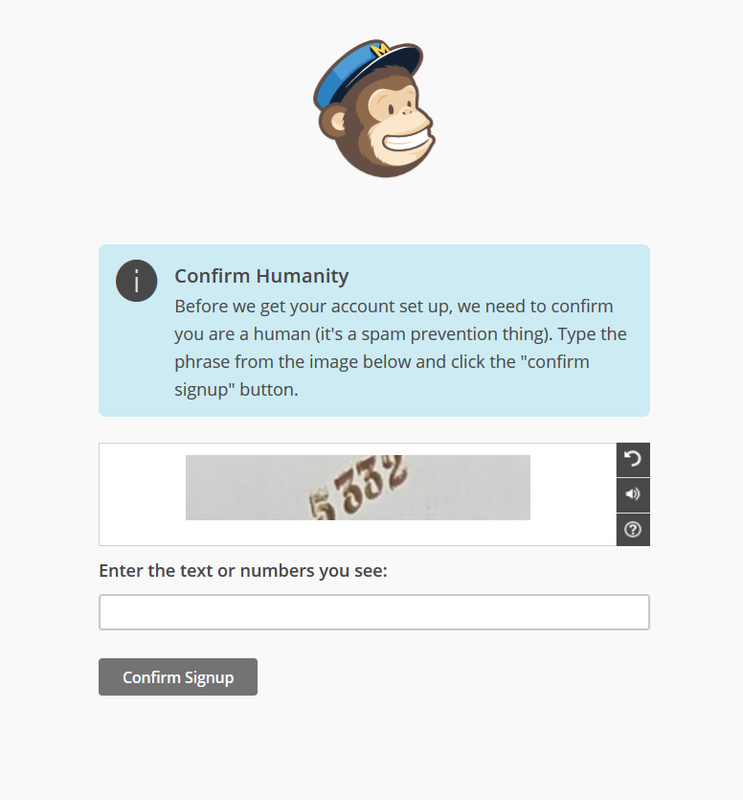 How do I sign up to MailChimp? Pop the number in, press the Confirm signup button, and you’ll then have a form to fill in. Fill in as much of this form as you can. 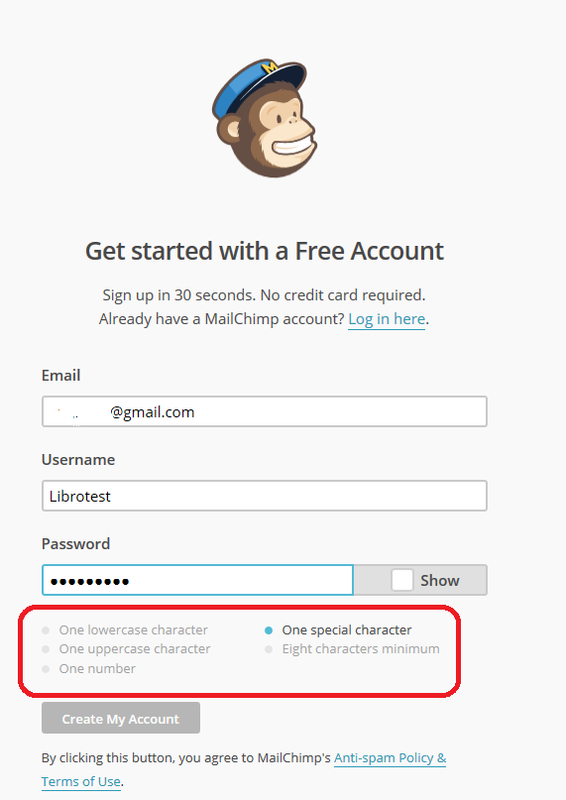 The address details are so that MailChimp can include them at the bottom of your newsletters. This is good practice and it’s a legal requirement in many countries to include this information on emails. However, if you run your business from a private address, as I do, I think it’s fine to smooth over the details a little and, for example, not include your house number. I am not a lawyer, though, and you might wish to check the legal requirements in your country. You can add a profile photo at this point, if you wish. 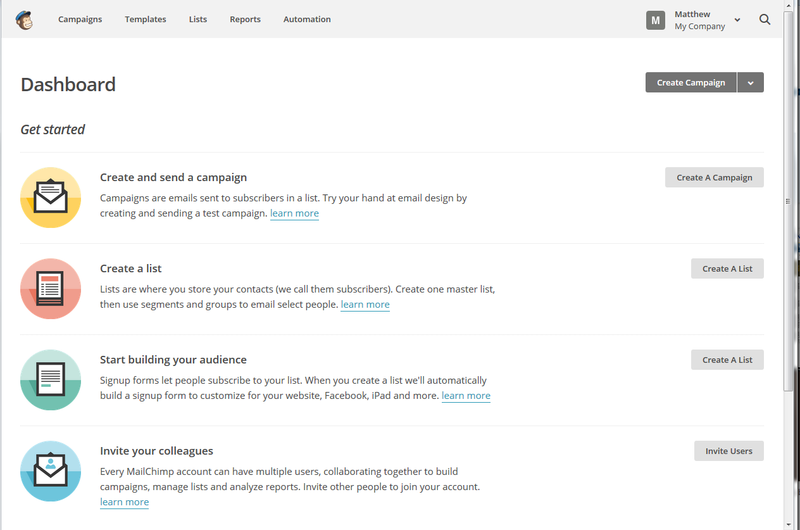 Once you press the Save and Get Started button, you will find yourself in the main MailChimp screen, from which you can create templates, an email list or a campaign (i.e. an actual newsletter). 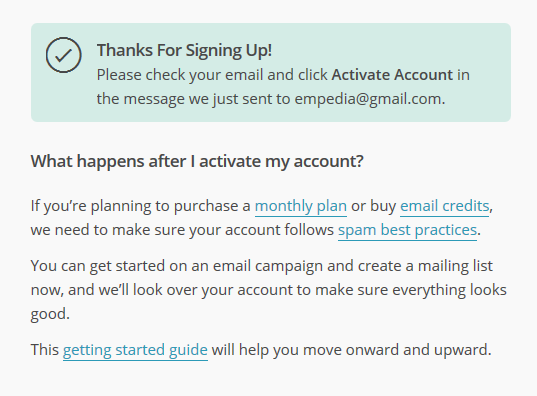 This is also the screen you will encounter when you go to the website and log in rather than signing up. So here you are, all signed up and ready to go. You can find a growing set of articles on blogging, social media MailChimp etc. in my resource guide. Do click on the share buttons below or comment if you found this article interesting or useful!